Over the course of my 20-year career working in pediatric nutrition I have worked with many families that include a child that is tube fed. To be honest, I loved working with children that receive tube feeds. In honor of tube feeding awareness week I am sharing what everyone needs to know about children who are tube fed. Tube feeding is how children are fed if they are unable to eat food by mouth or they are unable to eat enough to support their growth and development. Adults can also be tube fed, but this post will focus on tube feedings in children. A child may receive tube feeding for a variety of reasons. Some of the reasons include extreme prematurity that has affected an infant’s ability to efficiently take nutrition by mouth, a problem with anatomy that makes it impossible for a child to eat by mouth (craniofacial abnormalities, esophageal fistulas or strictures, or swallowing dysfunction), intestinal problems (short gut or malabsorption issues), or a medical condition that increases the child’s nutrition needs and they are unable to eat enough by mouth. 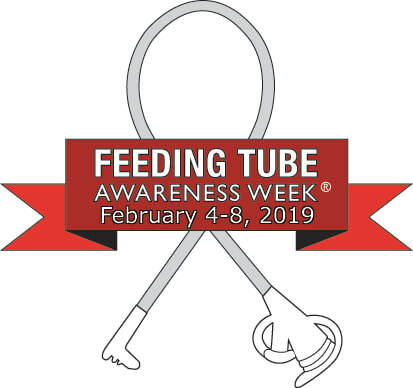 If you would like to learn more check out this guide from The Tube Feeding Awareness Foundation. How is a child tube fed? A child can be tube fed by having a tube inserted into their nose or mouth and the end of the tube ends in either the child’s stomach or jejunum. The jejunum is part of the small intestine. The tubes are called nasogastric (NG), nasojejunal (NJ), oral gastric (OG), or oral jejunal (OJ). Tubes that end in the stomach are typically placed at the bedside and tubes that end in the jejunum are typically placed with the assistance of radiology and confirmed by X-ray. Tubes that are placed in the nose or mouth are usually provided for temporary tube feeding until the child eats by mouth or a more permanent tube is placed. If a more permanent tube is placed, it is usually a gastrostomy tube (G-tube) is placed in the stomach. A G-tube can be placed by a laparoscope, by open incision during surgery, or by endoscopy. Sometimes children have difficulty tolerating feeds into their stomach, therefore they need to be fed into the jejunum. If that is the case a G-tube can be converted to a jejunostomy (J-tube). What kind of food goes in the tube? When tube feeds are started a child will receive a formula that is designed for tube feeding. Typically, these formulas are shelf stable until opened. When enough volume of these formulas are provided a child can meet 100% of their nutrition needs. Some formulas are specifically designed for children that have trouble digesting foods. Formulas can be given as a slow drip that is administered over a pump for 8-24 hours over a pump. This is called continuous feeds. Another way feeds can be given is referred to as bolus feeds. A bolus feed is given when a larger volume is given over a 10-30 minutes time frame. The volume given for children can generally range from 4-12 ounces and the amount is given typically 4-5 times per day. A bolus feeding is more like how we eat since we do not eat continuously. For that reason, research has shown that bolus feedings lead to child receiving goal feeds more quickly, improved weight gain and growth, improved ability to return to feedings by mouth, and more freedom for the child and family as they do not need to transport a pump. What if a family does not want to use a formula? Many families today prefer to not use formulas, but home blend their tube feedings using real foods. Reasons for this include a family’s desire to feed their child more naturally, improved tolerance of real food over formula, and sometimes tube feeding formulas are not covered by insurance, so it is less expensive to blend feeds at home. There are certain criteria that need to be met for a child to receive a homemade tube feeding using real foods. The recommended criteria from professional organizations include a G-tube that has been in place for 12 weeks, no infection at the site of the G-tube, a child that is medically stable, approval from a physician, and the child needs to be around 1 year of age. It is recommended that home blended tube feedings be provided as bolus feeds due to food safety reasons. At this time, it is not recommended that homemade tube feedings be given through a tube that ends in the jejunum. For more information about blenderized feedings click here. What happens if a tube feeding is stopped? Will the child start eating? A tube feeding should never be stopped without consulting a physician. If the tube feeding is providing most or all the child’s nutrition, it would be dangerous to stop suddenly. If a tube feeding is stopped it does not mean the child will start eating. If a child still has something wrong with their anatomy, which makes swallowing difficult and it has not been fixed then they will not be able to eat safely by mouth. If a child has not developed the skills to eat, then they will need to work with either a speech therapist or an occupational therapist to develop the skills before tube feedings are decreased. Once problems with the anatomy of swallowing have been repaired, skills are adequate, and the child is growing well, then the possibility of reducing tube feeds can be discussed with a physician. If you are the parent of a child that is tube fed or you know of a child that is tube fed and you are looking for assistance, I do provide consultations to families of tube fed children that live in the state of Ohio. Please contact me if you would like to learn more.